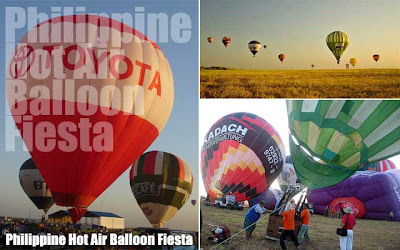 The 15th Philippine International Hot Air Balloon Fiesta will be held in Clark Freeport, Pampanga from February 11 to 14, 2010. 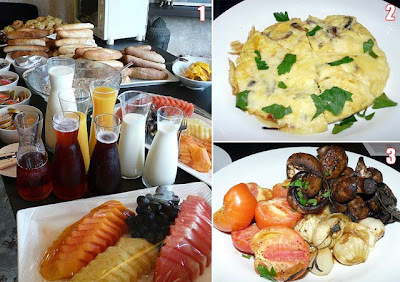 And just like in the previous years, Ultimate Philippines will be organizing a grand tour, complete with a sumptuous breakfast at C' Italian Dining, and visits to Abe's Farm and Nurture Spa in Magalang, Pampanga on February 13, 2010. C' Italian Dining usually opens in time for lunch. 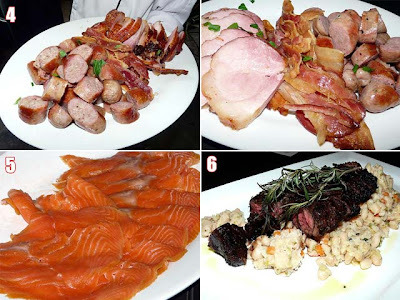 But for our Ultimate Philippines tour, we requested Chef Chris Locher to serve breakfast for us. Chef Chris mentioned last year's tour was the first time he was served breakfast. And he sure did not fail to impress. This year won't be an exception. This year, we're bringing back the visit to Nurture Spa in Abe's Farm. So after waking up really early in the morning, and stuffing yourself silly with great Italian food, expect to be pampered at Nurture Spa! So what are you waiting for? Book now at reservations@ultimatephilippines.com or contact my tokayo, Ivan Man Dy at +63 917 3291622. We only have 30 slots! Here is the detailed schedule of events of the 15th Philippine International Hot Air Balloon Fiesta. That might be Ivan ManDy? Oh shoot, indeed it was! I already sent him an email earlier. sorry! Hi! Does the PhP 4,800 include accomodation expenses? Thanks! We will! :) We intend to stay there until Sunday though.. I hope you can recommend a good but not so expensive accommodation near the event. :) Thanks again! Hi Charmaine, yes we do do. Let me check with Ivan ManDy. Please cc: info@ivanhenares.com. Thanks! hi, my husband and i are booked in Mimosa montevillas on feb 13-14 for the hot air ballon festival. Can i ask if we can avail of your tour? Yes you can. But please e-mail reservations@ultimatephilippines.com so that we could coordinate logistics since we won't be able to pick you up or bring you back to your hotel.